The steady modernisation of ERP systems, as they edge to the cloud and are complemented by new-generation customer software, was markedly evident this year. And blockchain and AI are making inroads. 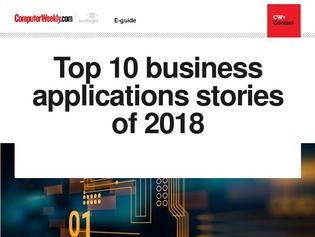 In this e-guide, Computer Weekly takes a look at the top 10 business applications of 2018.